Al Mazroui Oilfield was founded in Abu Dhabi - UAE, serving the oil and gas industry for over 20 years. We provide a true one-stop shop for the facilitation of procurement for maintenance, repair, operating (MRO) and capital goods. This service reduces our customers’ cost of ownership by providing one number to all, one invoice and one receipt, and also establishes ultimate accountability and predictability. Al Mazroui Oilfield has the ability to handle all materials and supplies by sea, air, road, and courier ex works delivered to the customers’ final destination. We also provide Inspection services (certified by TuboscopeNOV), Fishing services for drilling and workover operations, Coring services, Whipstockrunning services, Thru Tubing and Completion services, Drilling tools rental services, Performance Drilling Services, and Tender/Contracts Formulation and Evaluation consultancy services. Our dedicated team stays at your service 24/7 with experienced engineers in oil, gas and power industry, highly trained to provide a professional service. 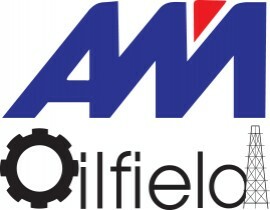 Under the umbrella of Al Mazroui Group, we represent various leading international companies from North America, Europe, and Japan such as National Oilwell Varco, Nikkiso Company Ltd, Prosernat ,Tercel Oilfield, EXHeat, WISE ,Oceaneering NCA ,Amerimex ,READ Cased Hole, Freylit, AKER and many others.